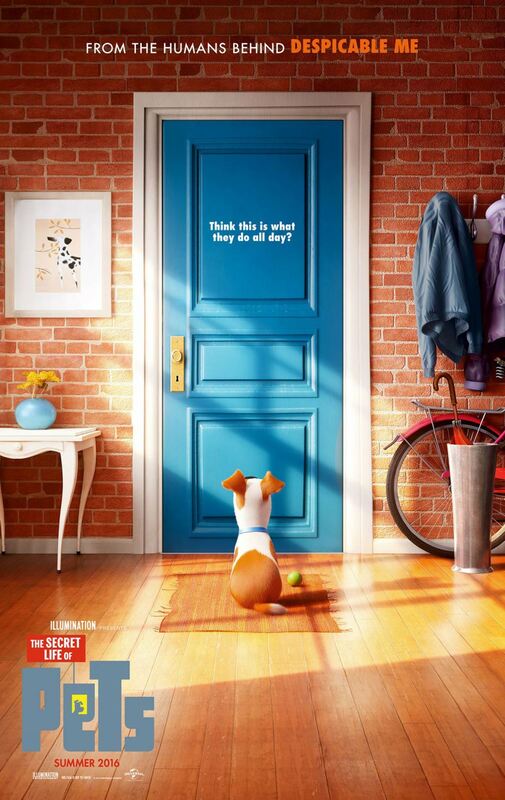 The Secret Life of Pets is now showing in Australian cinemas and is distributed by Universal Pictures. The Secret Life of Pets is a rather uncomplicated, sweet ode to those small, furry family members that younger audiences will relish, but it's simplicity will prove to be not enough to satisfy older audience members. Ever wondered what your pets do at home all day by themselves? The Secret Life of Pets shows pet-owners the side of their cats and dogs which they don't get to witness. Most days their lives have a steady routine, but Max's (voiced by Louis C.K.) comfortable life with his much loved owner Katie (Ellie Kemper) is severely disrupted by the appearance of a new and much bigger dog, Duke (Eric Stonestreet). The automatic friction between the two leads to a most unforgettable day where new friends and enemies are made outside of their beloved home and in the big city. While The Secret Life of Pets is solid and does not fail in what it sets out to achieve, it is a weak contribution to what has so far been a very strong year for animation. The film is extremely simple and straight forward as it is not saying anything more than what is presented on screen and in it's screenplay. For children, this easy to follow story line along with the cute and colourful characters will be extremely entertaining and enjoyable. Yet for adults, it's simplicity will make it all seem a little "ho-hum". Not all movies need to be saying something to be liked or be entertaining, but the creative choices made within this somewhat original concept are too obvious and therefore lose a sense of surprise and enjoyment. However, it would be both unfair and untrue to say that the movie is holds no enjoyment for adults. It is merely that it comes at a time when as film goers, we are expecting more from animated films. The Secret Life of Pets is definitely a treat for pet-owners. In particular, anyone who has ever come home after a long, hard day of work to their cat or dog will find the final scene especially heart-warming. Also, even though it is featured in the trailer, the most amusing part of the film and the most random is still the head-banging Poodle and the sofa-bouncing Chihuahua. It truly doesn't have much to do with anything which makes it even funnier. Many of the characters in the film are still somewhat unoriginal in regards to the story, even though they are still charismatic in a cute and cuddly way. Kevin Hart as the villainous bunny rabbit, Snowball is a particular standout in the voice cast. He may not do a great deal vocally, but he does give Snowball a great deal of character. Without Hart providing his recognisable voice, the bunny would have been completely different. Jenny Slate is also a whole lot of fun as Max's admirer, Gidget. 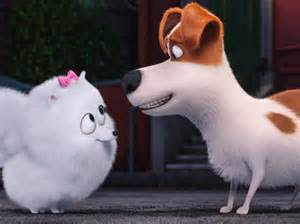 The Secret Life of Pets is a fine film for families, but does not have enough depth and substance to make it memorable. Nice post! I am sure the kids are going to like this movie a lot. Also, they have finished watching shows by Andy Yeatman and therefore are free to watch anything now. It seems to be a good and entertaining movie. I would love to add this to the watch list. Oz Comic-Con causing Sydney to geek-out!